Beginning with the Sleepy Lagoon trial as depicted through Luis Valdez’s play Zoot Suit and Rudolfo “Corky” Gonzalez’s poem “I am Joaquin,” MEXICAN AMERICAN LITERATURE students will examine the inter- and intra-cultural conflicts which result as Mexican Americans assert and negotiate identity as common yet distinct from both Mexican nationals and European Americans. 1. What is IDENTITY and how is it shaped by historical events during the 20th Century Civil Rights Movement? 3. 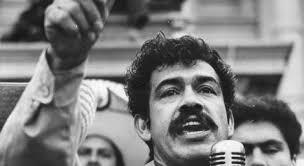 What was the influence of the Civil Rights movement on the emergence of Chican@ identity? 4. In what ways does symbolism in literature, art, and theater serve to understand the emergence of Chicano identity? After completing CORNELL NOTES on video, “Zoot Suit Riots” students will be able to write a summary that identifies significant historical contexts and issues that inspired Luis Valdez’s play Zoot Suit. I. Pre-Reading: Research Teams on Luis Valdez, Teatro Campesino, and Zoot Suit Riots. II. Reading: Complete Cornell Notes as you watch Zoot Suit Riots a documentary from PBS Series American Experience. III. Post Reading: Students will write a paragraph that describes the historical context of Luis Valdez’s play, Zoot Suit. 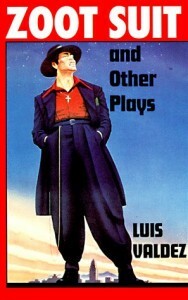 After analyzing SYMBOLISM of the “pachuco” in Luis Valdez’s play Zoot Suit students will be able to identify themes about identity conveyed by internal and external conflicts of the play’s plot. III. Post-Reading: Students will write an essay which summarizes the play and analyzes the symbolic value of the play’s protagonist. After close reading Ruben Salazar’s essay, ” Who is the Chicano and What does the Chicano Want?” students will be able to identify the author’s central claim, evidence, and purpose. After close reading Rudolfo “Corky” Gonzales’s poem “I am Joaquin” and Gloria Anzaldua’s “La Consciencia de la Mestiza: Toward a New Mestiza Consciousness”, students will be able to analyze the use of historical allusions and symbols to convey themes about identity.